Emmanuel Kanu, a sibling to the detained leader of the Indigenous People of Biafra, Nnamdi Kanu on Sunday described recession in the country as Nigeria’s nemesis for fighting Biafra. In a press statement made available to our correspondent in Awka, Anambra State, Emmanuel said more plagues would befall the country if the authorities fail to free his brother and allow Biafra be. The statement read, “The family members of the leader of the indigenous people of Biafra, Nnamdi Kanu who is being detained illegally in Kuje prison, condemned the incessant kidnapping and spilling of blood of unarmed members of the indigenous people of Biafra in parts of Biafra land. Read Also: BIAFRA: "BBC IGBO" - ANOTHER MISCHIEVOUS EFFORT BY BRITAIN TO KEEP DIVIDING, RULING AND EXTERMINATING BIAFRANS. 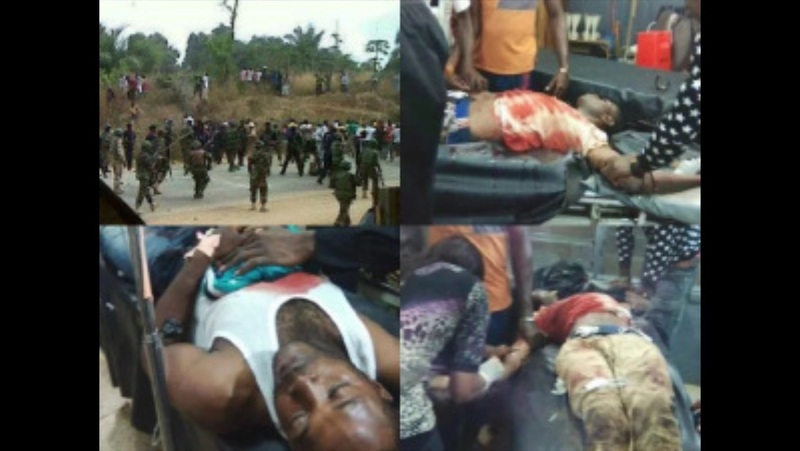 “The blood of Biafrans spilled in Nigeria since 1945 till date is crying to God Almighty for revenge, that is why Nigerians are suffering today and no remedy is in sight unless the government of Nigeria and her security agents stop killing Biafrans and allow Biafra to become an independent state. “They arrested the anointed man of God, Nnamdi Kanu who was sent to come and liberate his people of Biafra. The statement said that all those who had hands in the incarceration of Kanu would not go scot free. “Government should release my brother, and other members of IPOB unconditionally to avert more plagues on Nigeria”, the statement added.